Hanoi (VNA) – Seven State-owned enterprises (SOEs) had their equitisation plans approved in July, bringing the number for the first seven months of this year to 26, according to the Corporate Finance Department under the Finance Ministry. The department said the total real value of the 26 enterprises is 71.88 trillion VND (3.16 billion USD), of which over 18.3 trillion VND (808.2 million USD) belongs to the State. Under the approved equitisation plans, the SOEs will have a combined charter capital of over 22.63 trillion VND (995.72 million USD), of which the State will hold more than 11 trillion VND (495 million USD). Meanwhile, around 6.5 trillion VND (286 million USD) worth of shares will be sold to strategic investors, 156 billion VND (6.86 million USD) to the enterprises’ workers, 16 billion VND (704,000 USD) to trade unions, and nearly 4.87 trillion VND (214.28 million USD) will be put up for auction. According to the department, the equitisation process of SOEs has yet to meet expectations. 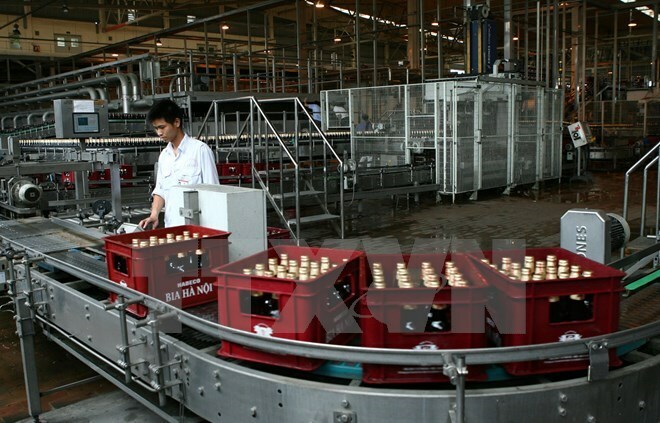 In order to speed up equitisation in the remaining time of the year, the Ministry of Industry and Trade needs to accelerate the sale of State-owned capital at the Hanoi Beer Alcohol and Beverage Joint Stock Corporation (Habeco) and the Saigon Beer-Alcohol-Beverage Joint Stock Corporation (Sabeco) in order to complete by December 1.